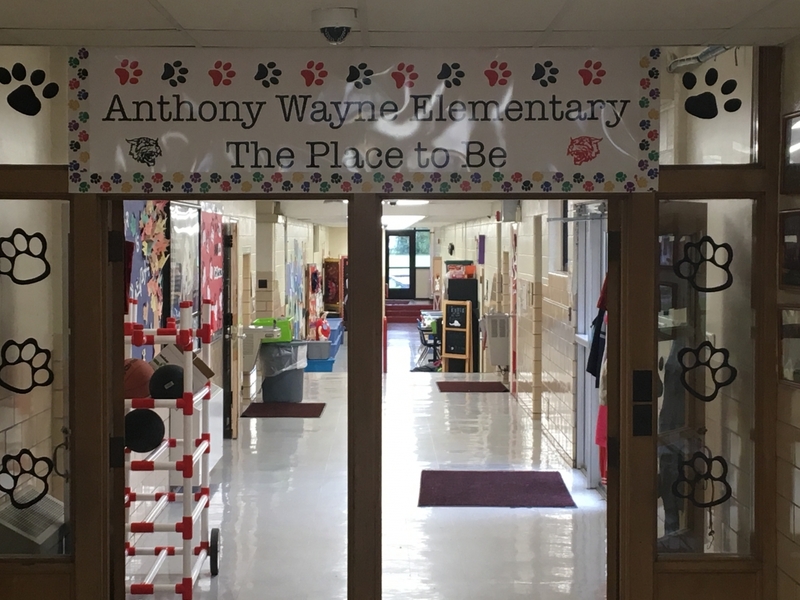 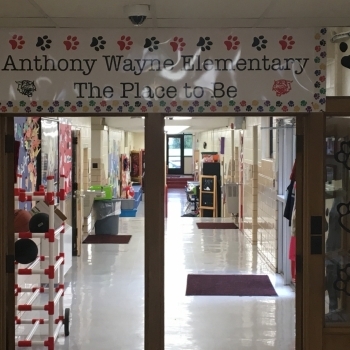 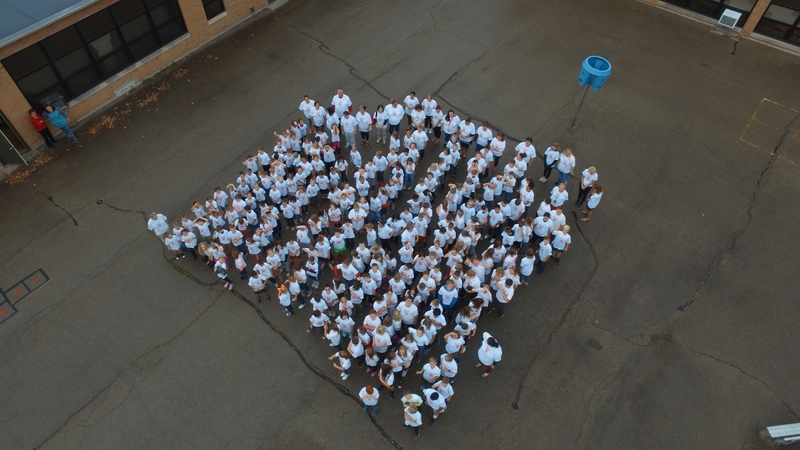 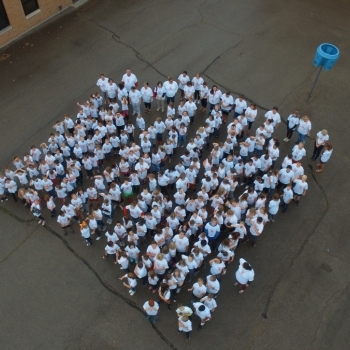 Students and staff have been making Anthony Wayne Elementary “The Place to Be” by modeling three school-wide behavior expectations: Be Respectful, Be Responsible, and Be Safe. 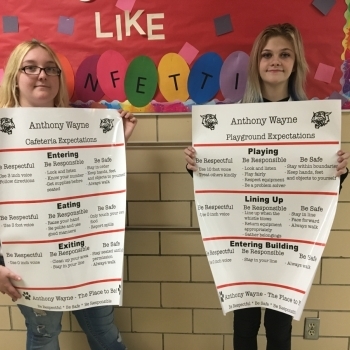 Students have been supporting these school-wide behavior expectations by using a conflict resolution strategy called Stop, Walk, Talk, as well as applying positive behaviors in and out of their classrooms that match the expectations for each area of the building. 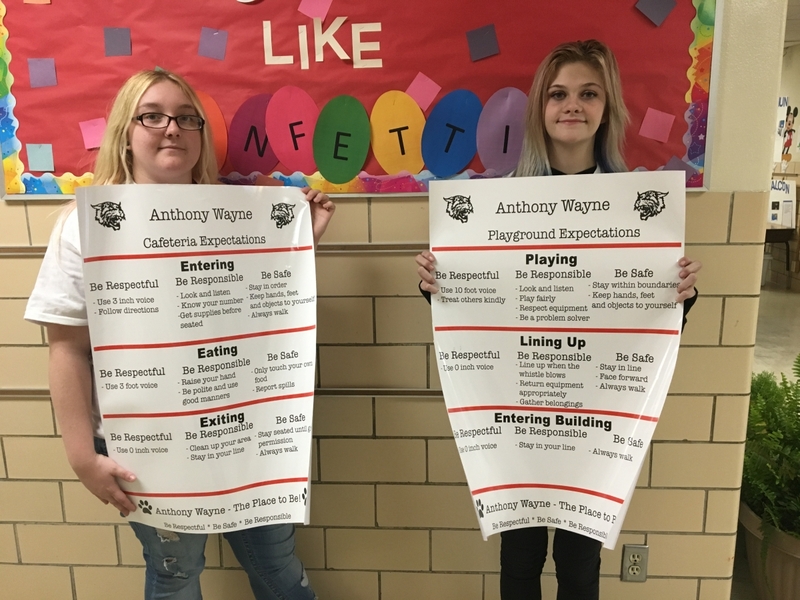 Warren County Career Center's Graphic Arts and Imaging teacher, Howard Norris, partnered with Anthony Wayne to promote the implementation of this positive behavior program. 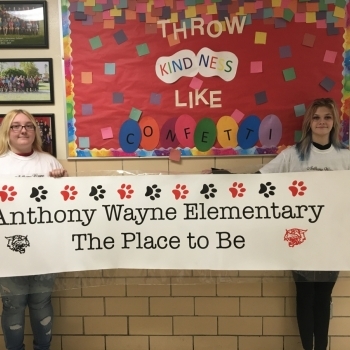 Senior students Addie Banks, Haley Garvin, and Alexa Spicer coordinated, as well as worked alongside eight other students from the class to design and produce t-shirts, posters, banners, buttons, as well as stickers for students and staff. 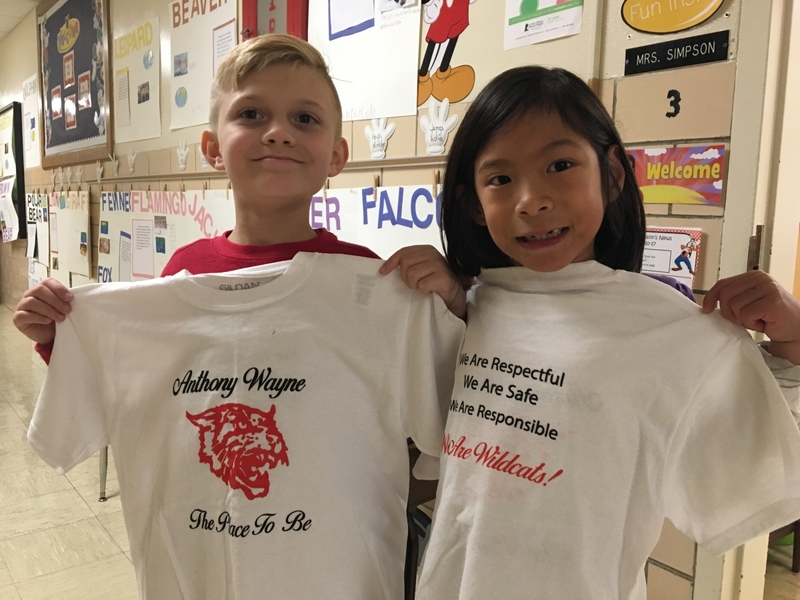 The positive messages and images will serve as daily reminders of Anthony Wayne’s school-wide positive behavior expectations and conflict resolution strategy. 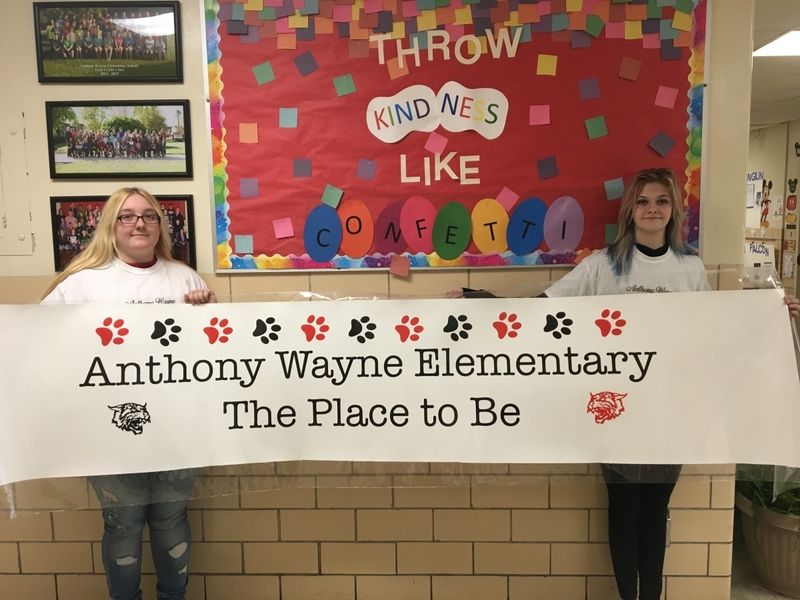 This initiative has been an invaluable real-world learning experience for students from the Warren County Career Center, especially Addie Banks, who attended school at Anthony Wayne Elementary. 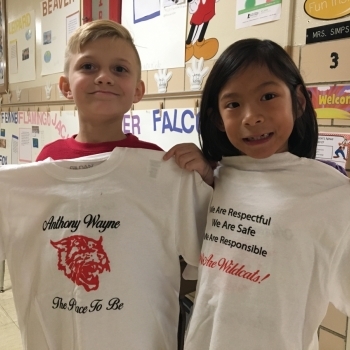 These ​​items will add value for many years to come at Anthony Wayne by promoting a more self-reliant, responsible, respectful, safe, and positive school climate.